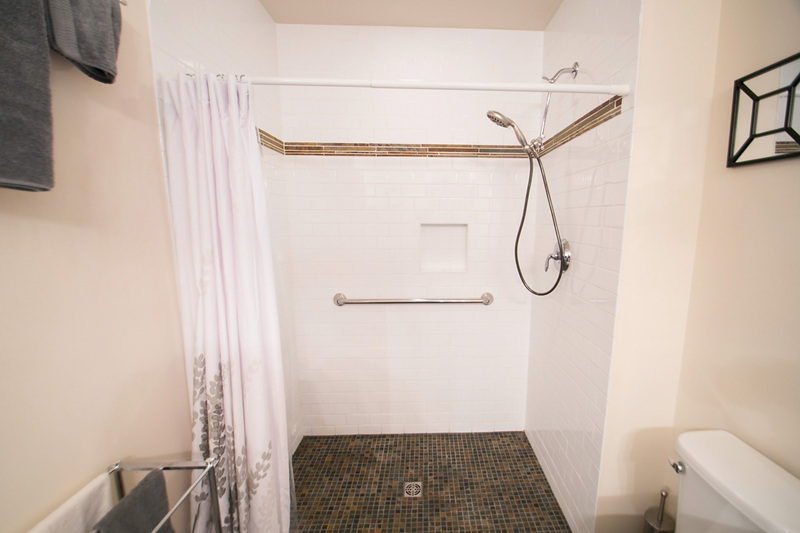 Challenged with an older house with a small bathroom to remodel into an accessible bathroom, we were able to use a bedroom’s closet to create a fully wheelchair accessible bathroom that includes a customer tiled zero barrier shower, large format tiles, and a new vanity, with a marble countertop. 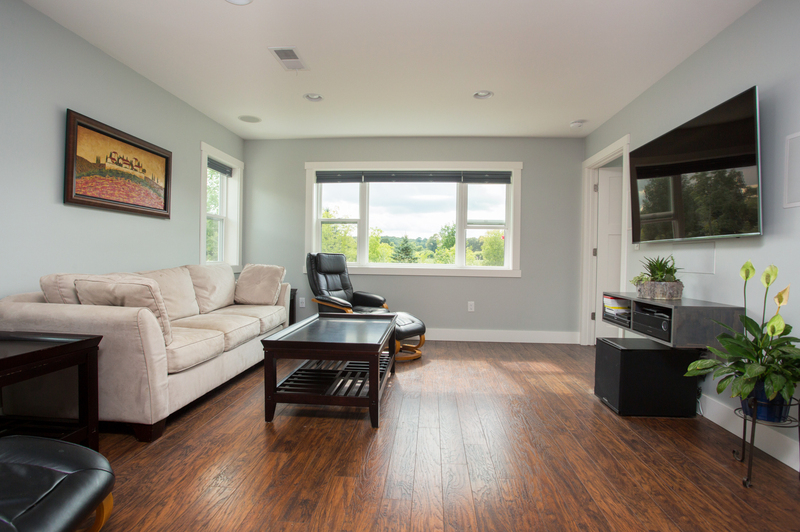 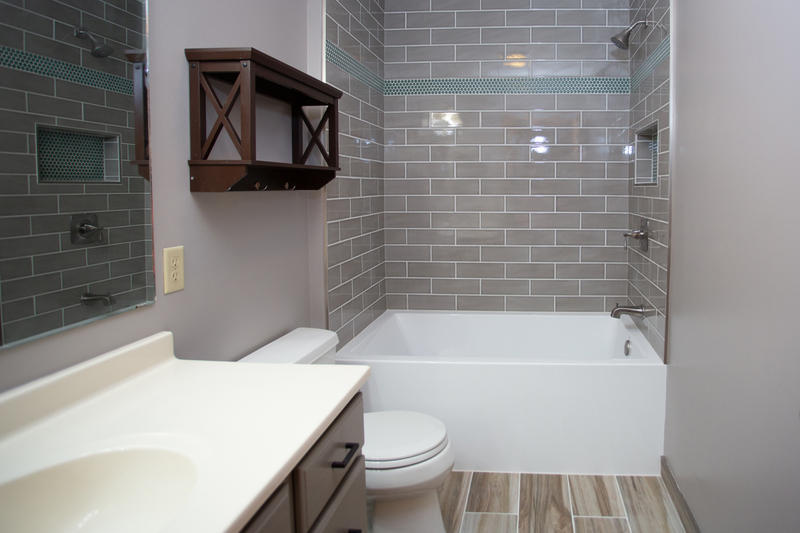 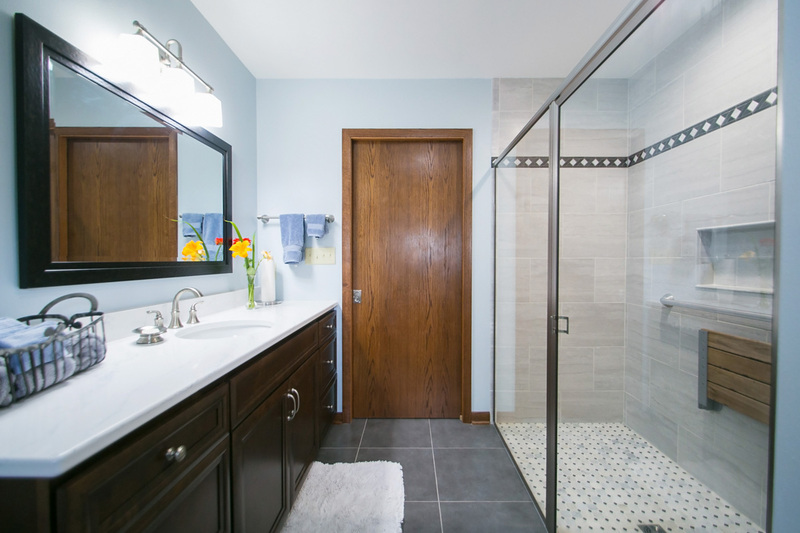 To save space, we installed a pocket door that provides a true 36″ wide door clearance for passage. 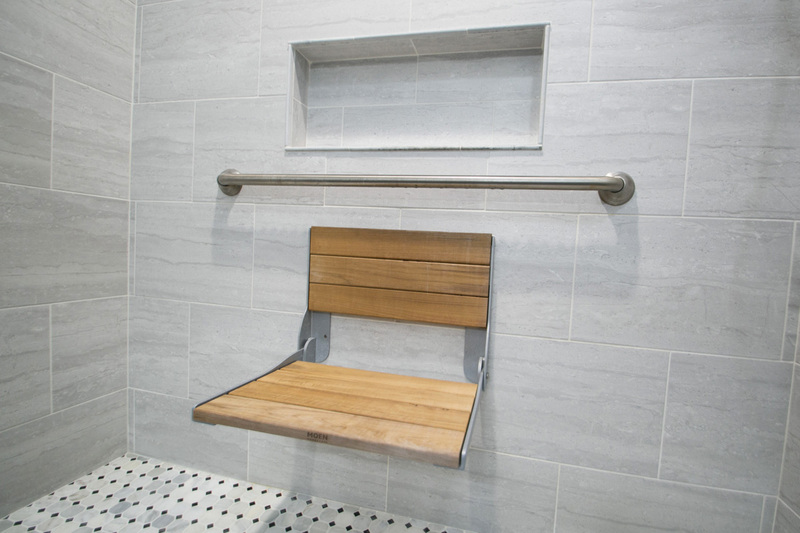 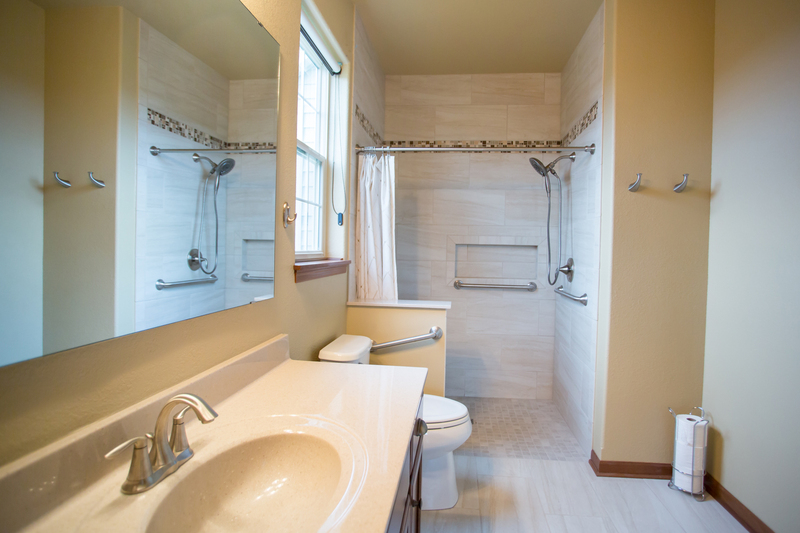 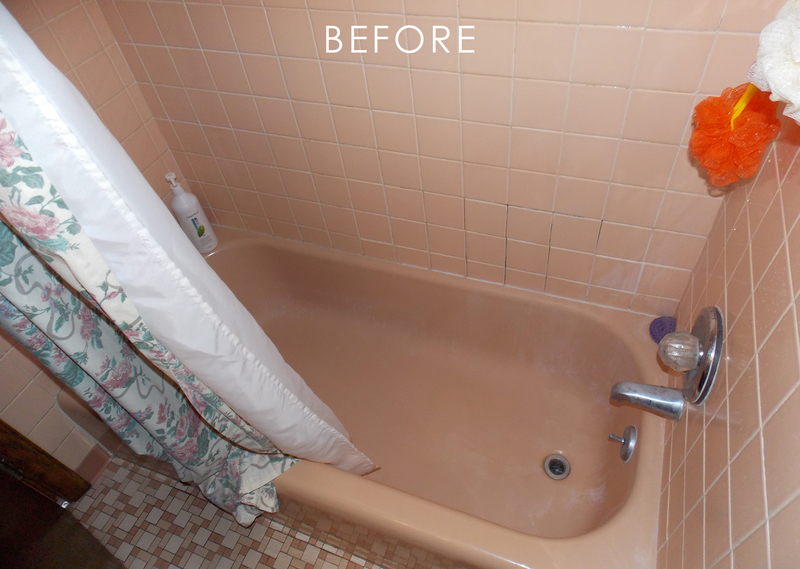 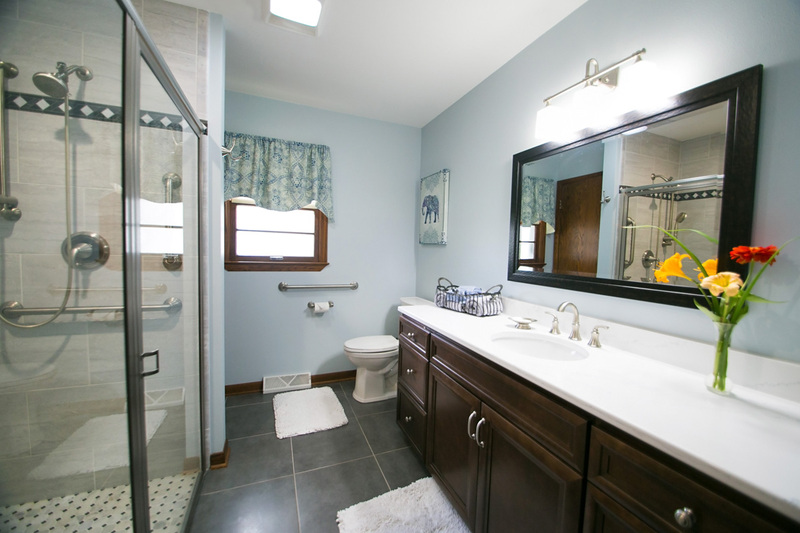 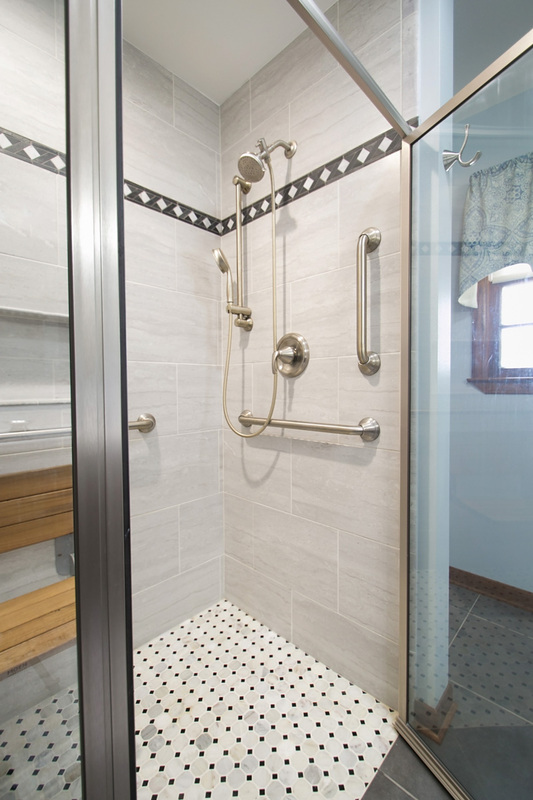 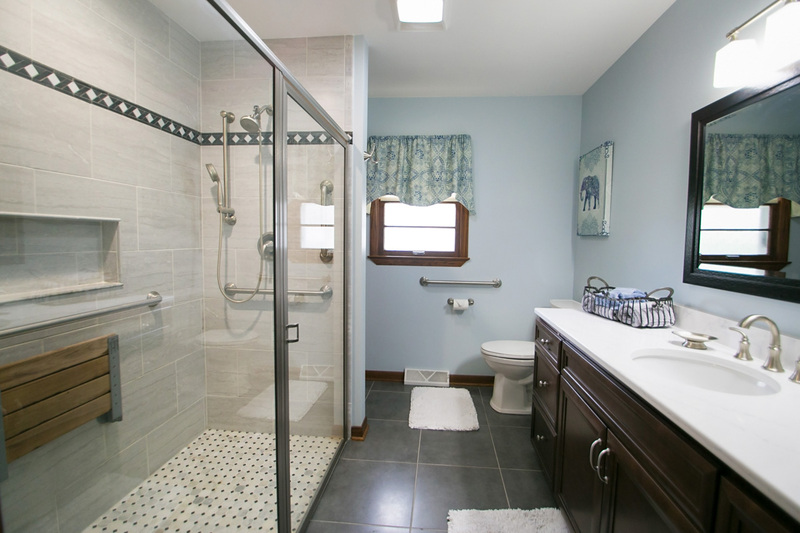 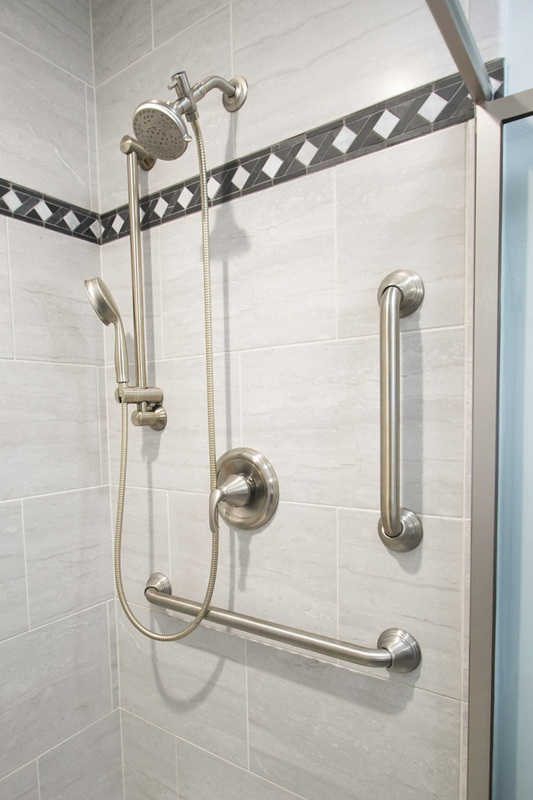 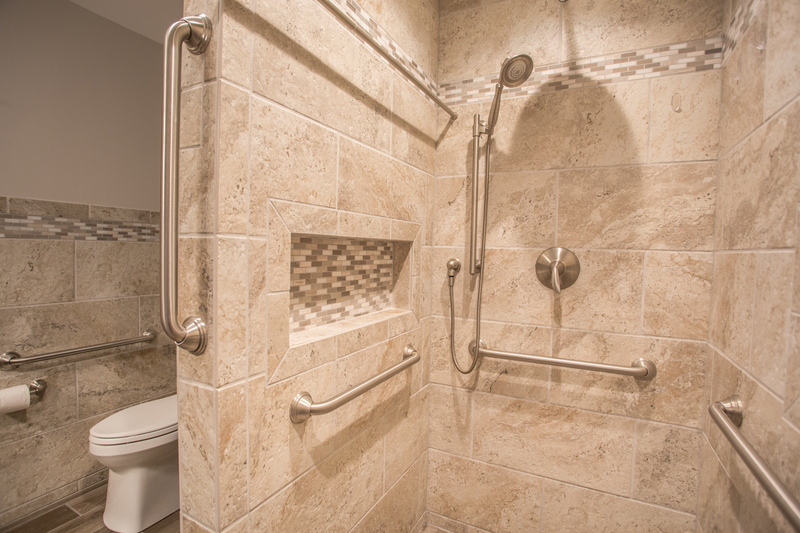 With the addition of an ADA toilet, grab bars, handheld shower wand, and flip-down teak bench, our customer is able to use it independently and safely.